The mission of Mt. 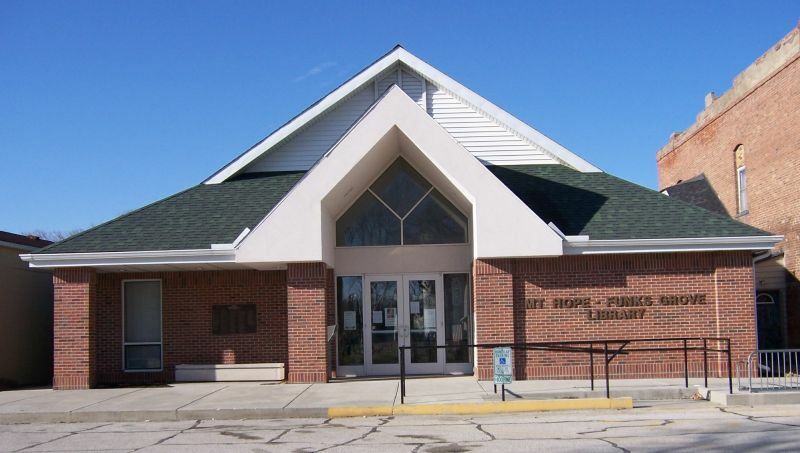 Hope–Funks Grove Library is to provide educational, informational, cultural, and recreational resources and services to all residents of its service area. The library endeavors to be a center of interaction for community residents. The library seeks to foster community spirit and partner with other community groups to support and promote community development. The library seeks to accomplish its mission through prudent management and development of its resources and by providing access to materials and services to meet the present and future needs of the community it serves. In this effort, Mt. Hope–Funks Grove Library cooperates with other libraries as an active member of the library community, participating in Resource Sharing, etc.